In my economic presentations I often say that I am ‘frequently in error but rarely in doubt.” Still, when in error I admit it, it’s a sign that I am willing to ask myself “why” in order to improve my methodologies. 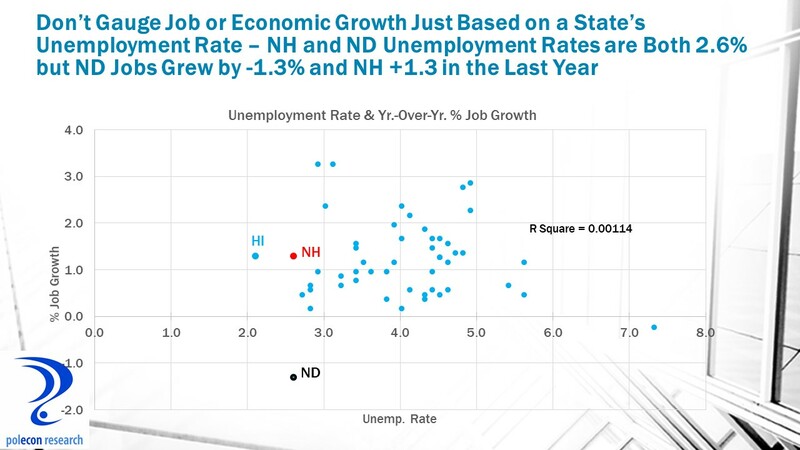 I was wrong when I predicted NH’s job growth would be under 1% in 2018 (it is double that), largely because the labor force was able to grow more than I had forecast (see my previous post on net in-migration to the state). In a letter to Congress over 100 economists asserted that “the macroeconomic feedback generated by the “Tax Cuts and Jobs Act” would be “more than enough to compensate for the static revenue loss,” implying that the bill would be deficit-neutral over time. 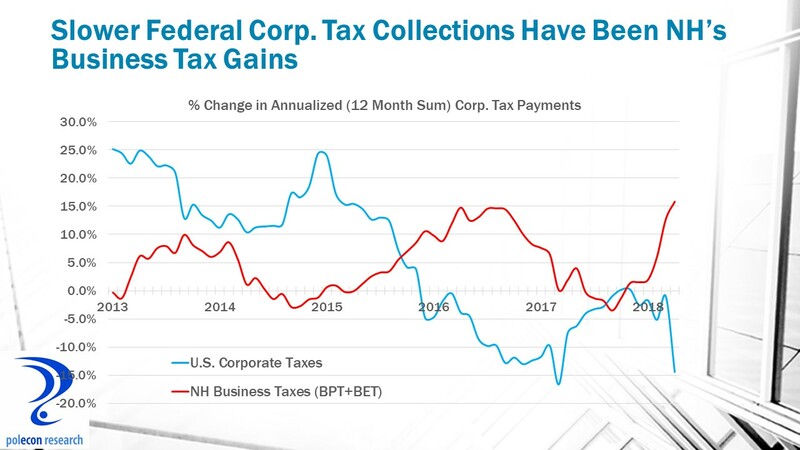 Federal revenues have a seasonal (monthly) variation, with some months bringing in more revenue than the government spends and vice versa. Comparing similar months over time thus offers some insights into the deficit trends over time and in different economic conditions. As the chart below shows, the November 2018 monthly deficit (the most recent data available) show that during a period of solid economic growth the U.S. ran the highest November monthly deficit in its history. Proponents of the bill also claimed that we would see enough additional investment to boost growth by 4% per year. That implies an increase in annual investment of roughly $800 billion. But, as this post noted, investment has not jumped to that level, nor does it show signs of doing so anytime soon. The economists who predicted that tax cuts would spur a rapid increase in investment and higher revenues have been proven wrong. They have also remained silent, which suggests that they are not at all surprised to see revenues and investment fall far short of what they promised. Many, if not most, will dismiss the rising deficit (see below) during times of solid economic growth as a function of rising spending. Rising spending is, in fact, a major but not unexpected contributor to the deficit problem. Stagnant or declining revenues in a strong economy are not the norm, and are the kind of pro-cyclical fiscal policy (cutting taxes in a strong economy instead of filling coffers during a strong economy so that taxes can be cut to stimulate the economy when it is weak) that is going to make the next economic downturn much more difficult to combat. 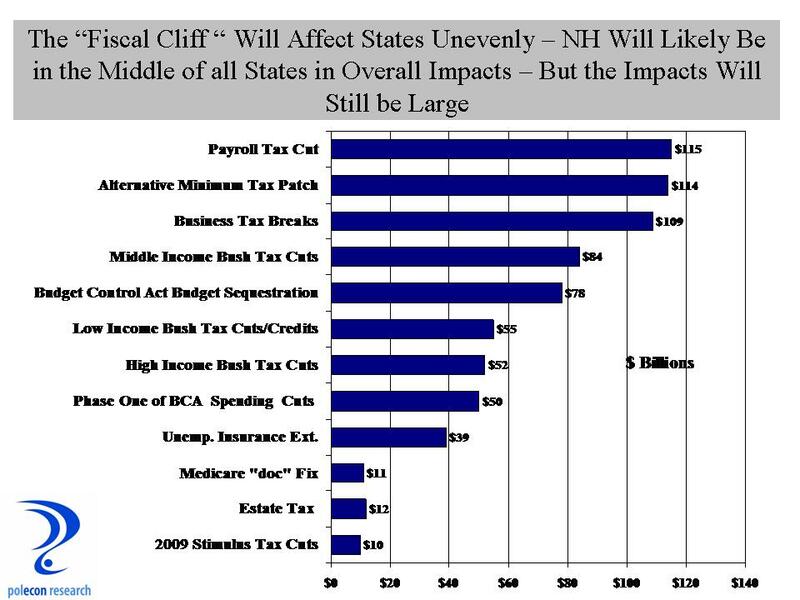 What Will the “Fiscal Cliff” Mean for NH? For an economy struggling to gain altitude it is hard to see how the impending spending cuts and tax increases associated with the “fiscal cliff” will do anything in the short-term but bring the economy to stall speed or push it back into recession. At a time when compromise is seen as weakness and ideological impurity, an agreement must be reached in order to avoid the negative effects of the the fiscal cliff. Depending on what is included, the ‘fiscal cliff includes anywhere from $500 to $700 billion in combined spending cuts and tax increases (many via the expiration of temporary cuts). 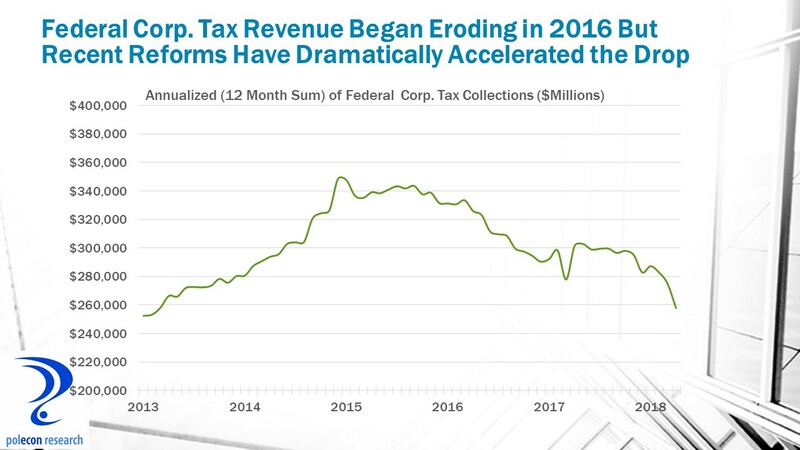 All states will feel the effects of the elimination of the temporary cut in the payroll tax but states with a higher percentage of high-income taxpayers will likely be affected more by the expiration of Bush era tax cuts. 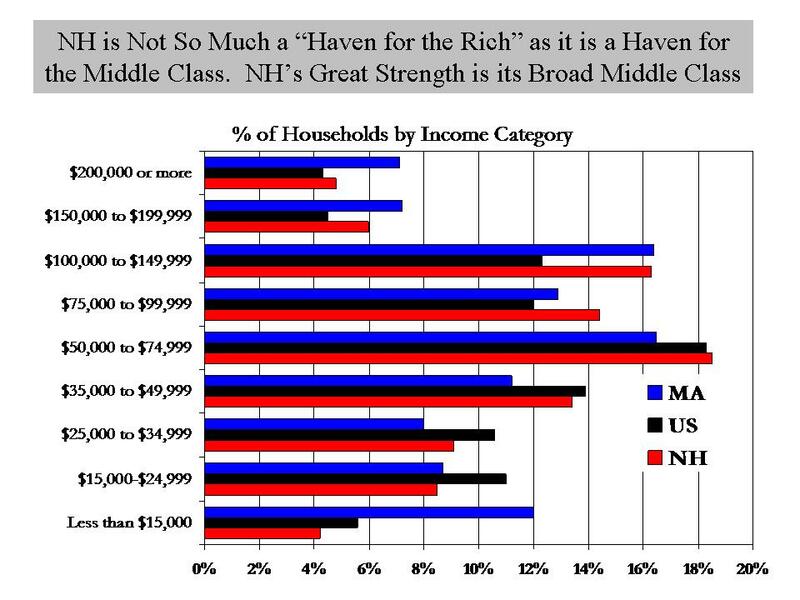 Despite often being characterized as a “tax haven” for the rich, NH is much more a “haven for the middle class” as it has a somewhat higher percentage of high-income households than the U.S. (but much lower than MA) and a relatively smaller percentage of lower- income individuals. The percentage of high-wealth individuals in NH is above the U.S. average, but the percentage of income taxes paid by those making $200,000 or more in NH is lower than 24 other states. 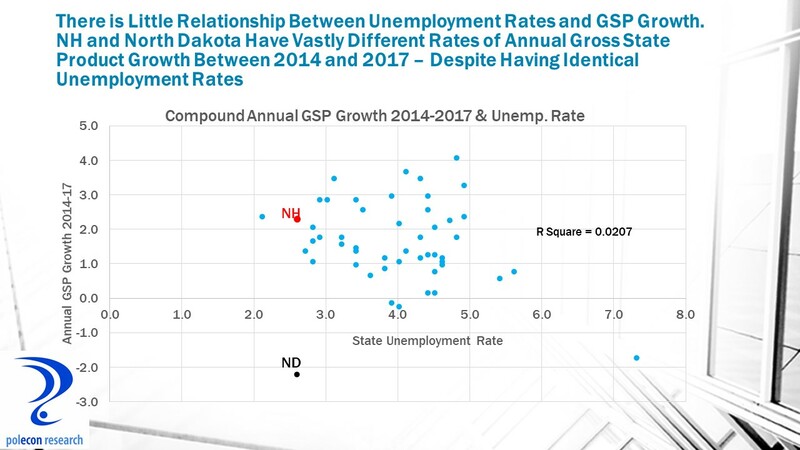 States where higher-wealth individuals pay a larger portion of the state’s tax burden are likely to be relatively more affected by the tax cut expiration provisions of the fiscal cliff. 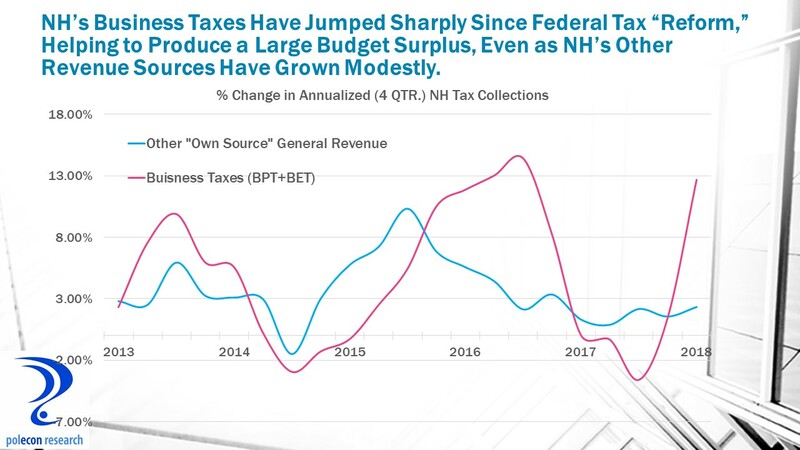 But NH will still see an estimated increase in payroll taxes of about $650 million, a significant drop in disposable income in the state. In addition, a study by George Mason University’s Center for Regional Analysis estimates that the defense department and non-defense department budget cuts that will result from the fiscal cliff will cost NH about 6,300 jobs and $325 million in labor income. 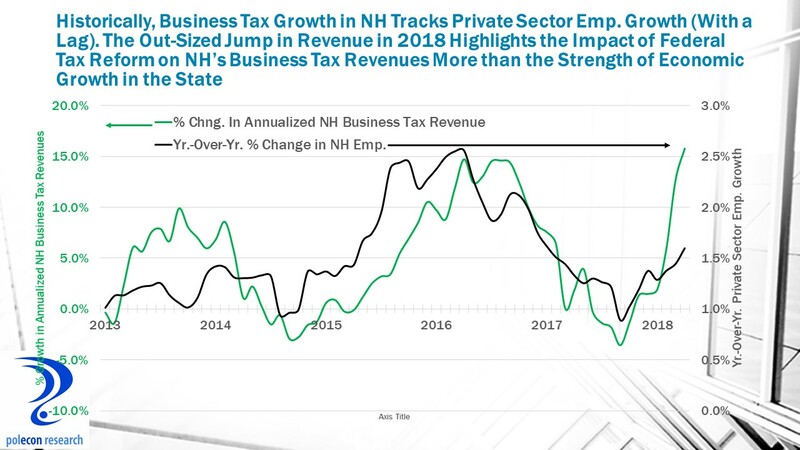 NH no doubt will take some solace from the fact that Massachusetts is likely to see nearly 10 times the job losses from budget cuts to defense and other purposes (especially medical) and as a result of their high percentage of high-wealth households. I want to think a reasonable resolution will be found that avoids the worst of the potential problems from the fiscal cliff. Fiscal tightening is clearly warranted, and it appears almost certain that at a minimum the payroll tax holiday will be allowed to expire as well as the Bush era tax cuts for upper income households. It is also almost certain that long term unemployment insurance benefits will be allowed to run out. After that, it all depends on one four-letter word – compromise.